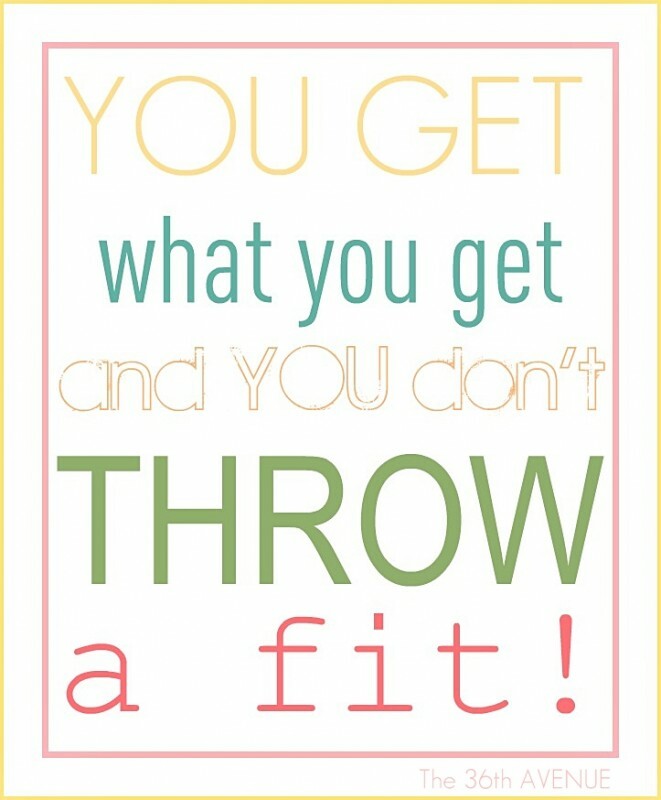 My house is a disaster, my kids have eaten a lot of Macaroni & Cheese, my hands have been covered in paint for the last three weeks BUT guess what? Hakuna Matata baby… because Kitchen week is finally here! I have really spent many hours trying to find the right fabric for my kitchen valance and in my search for simplicity I could not find the one. So I ended up sewing three plain white canvas valances. One for each window with the intention to stencil them. Right before I was ready to do so my eyes caught the washi tape that I had purchased earlier that day at Target. Yes my dears… I said Washi Tape. So, I thought wait a minute little monkey! 1. Washi tape is HEAT resistant. 3. By the end of the Season I can give them a wash exchange the washi tape and even give the valance a brand new look if I want to. So I made a Washi Tape Window Treatment. This is the easiest thing I have ever done! Just place the tape making the design you like and lightly iron the tape to the fabric to make a stronger bond. 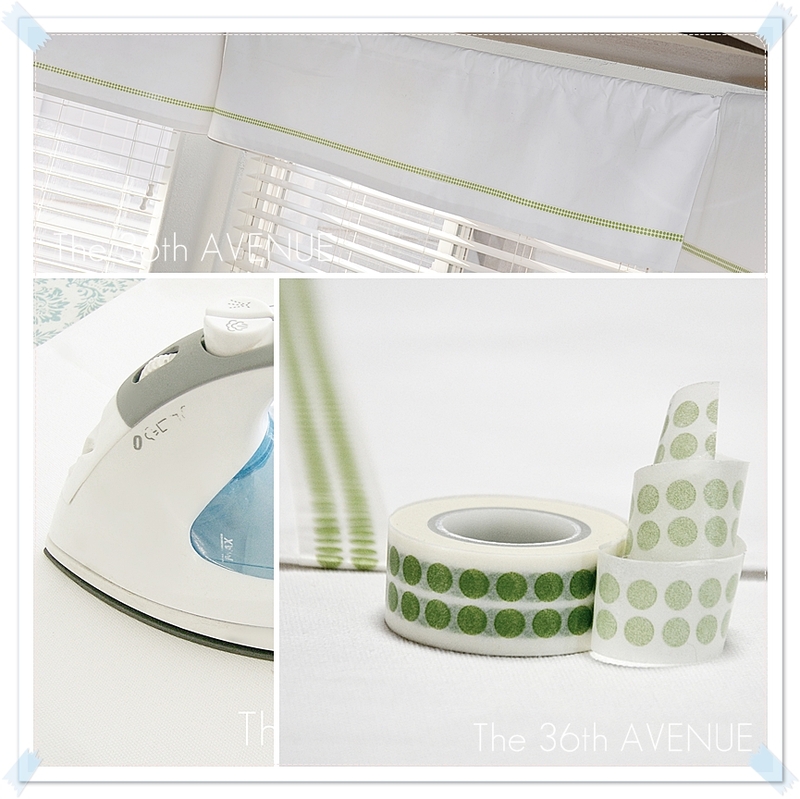 I would never use Washi Tape on a regular curtain that it is used all the time. I don’t think it is strong enough for a project like that. For a window treatment that you don’t touch at all, as a valance, I think it is a great idea. Day one: Washi Tape Window Treatment! I am sharing this project at this fabulous parties! PreviousSticker Time: Extraordinary ideas made by you. I need these for my kitchen! I’m a complete novice when it comes to sewing so did you just sew a spot for the regular curtain rod to make these? These window treatments are AMAZING!! 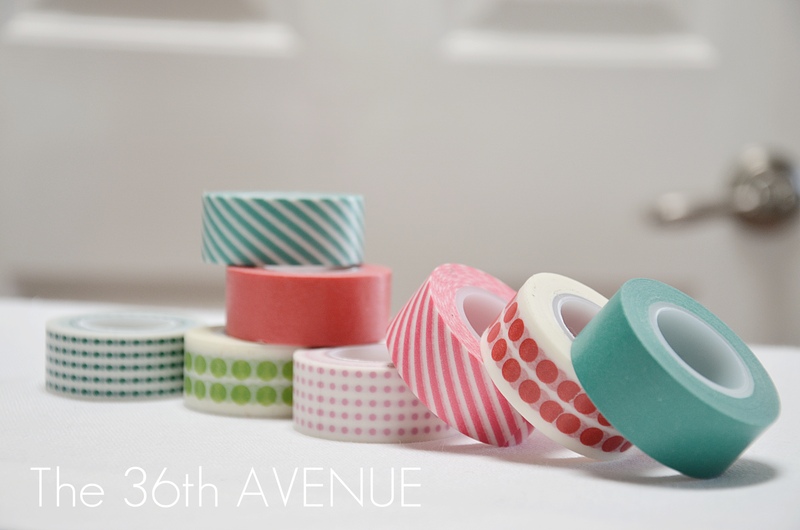 I just wanted to let you know that we are featuring this tomorrow in a roundup of washi tape ideas on our blog: http://mysisterssuitcase.blogspot.com. This is pure genius. No sew at it’s best. And removable too! Wow!!! This looks so good – Thank you brain for me! that is insane. and just the type of lazy project i love! come visit anytime! Awesome! I just used that same Washi Tape from Target to make “Washi Tape” Candles. They turned out really great even if they are just for decoration. I love how your valance worked out. That adds the perfect pop to the white.